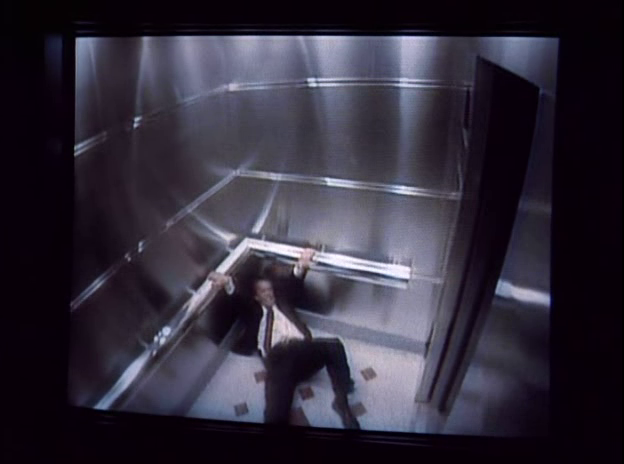 I’ll be the first to admit that Conduit is not one of my favorite episodes. I can’t pinpoint the exact reason. 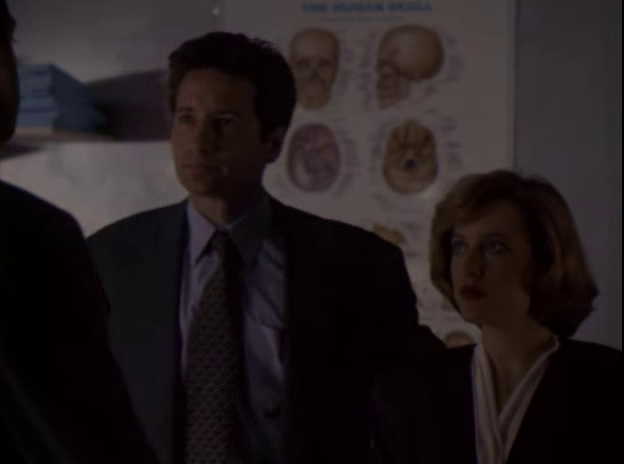 Having said this, the episode does have a fair amount of MSR fodder for the shippers out there, and there’s some interesting case information that I’ve missed in the past. 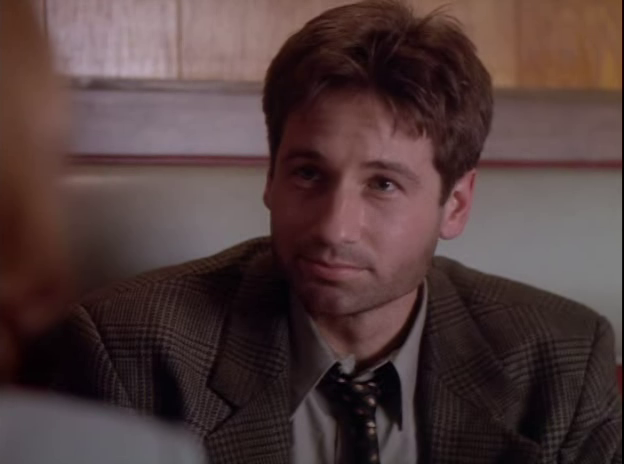 After this rewatch, I have a little more respect for the episode, but I have a feeling this post will be more of an ode to Mulder and Scully’s personal development than anything else. 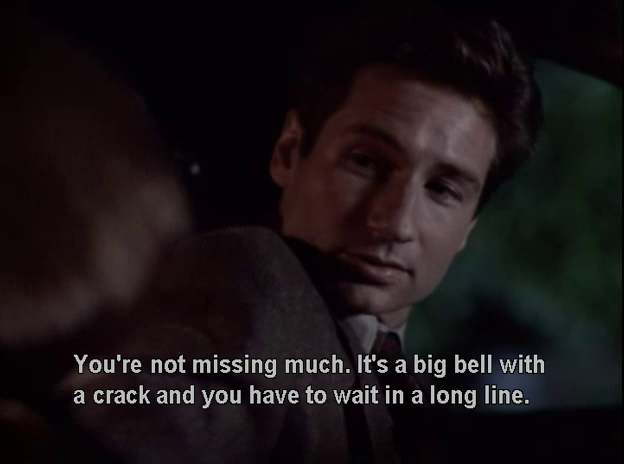 That’s the beauty of this show. 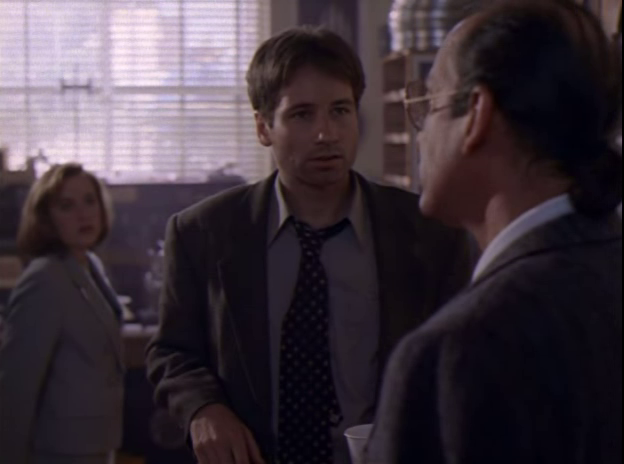 Where a given episode may have a few elements that fall flat (a rarity in itself), the heart of the show lies in its two leads. 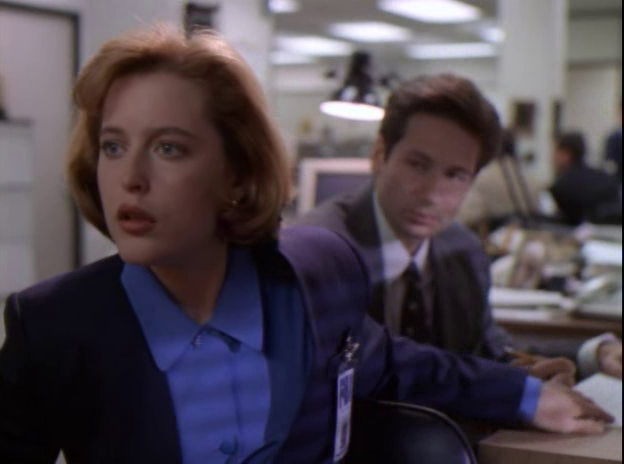 As long as Mulder and Scully share the screen it’s still an enjoyable 42 minutes of television. 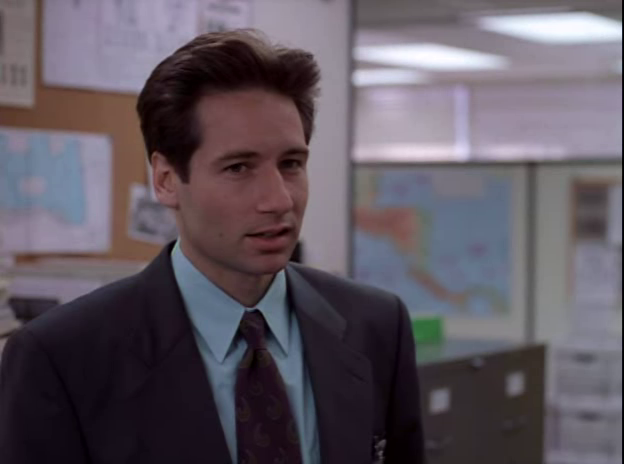 Scully is called into Section Chief Blevins’ office because Mulder sent a 302 requesting an assignment to investigate the disappearance of a girl during a family camping trip. 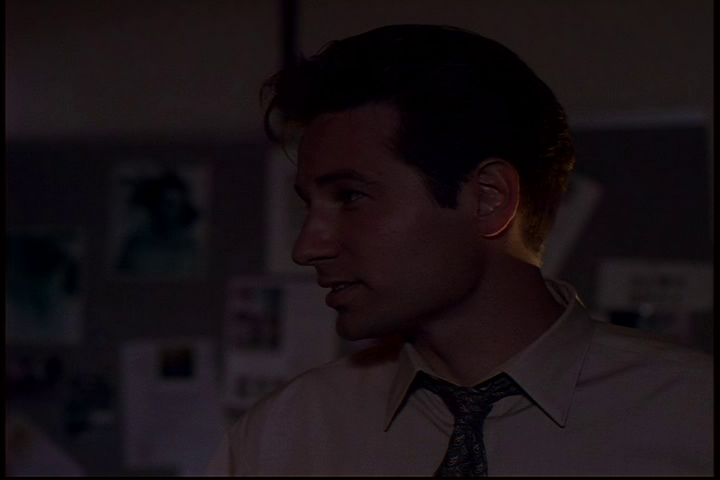 Blevins asks Scully if she can explain why Mulder is requesting this assignment with little more than a newspaper clipping as a source. Literally — a newspaper clipping that he paper-clipped to the 302. I think it’s weird too. 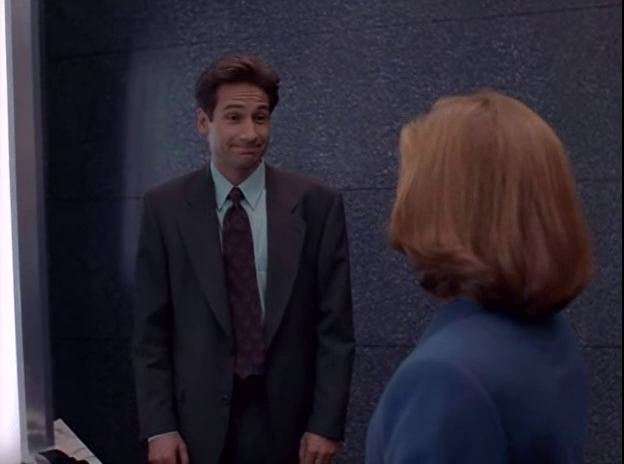 She admits it’s strange even for Mulder. 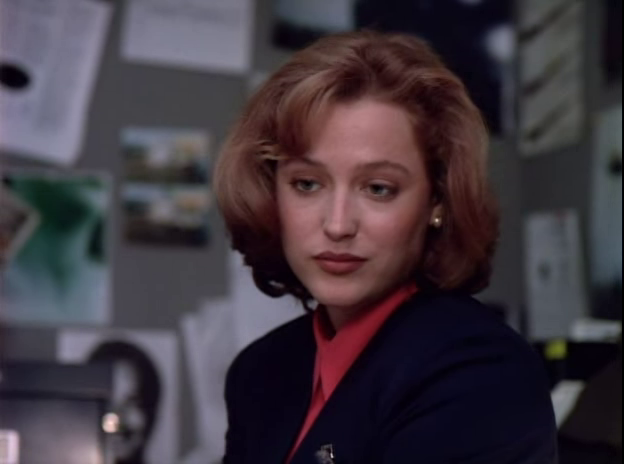 She’s rocking this look, by the way. 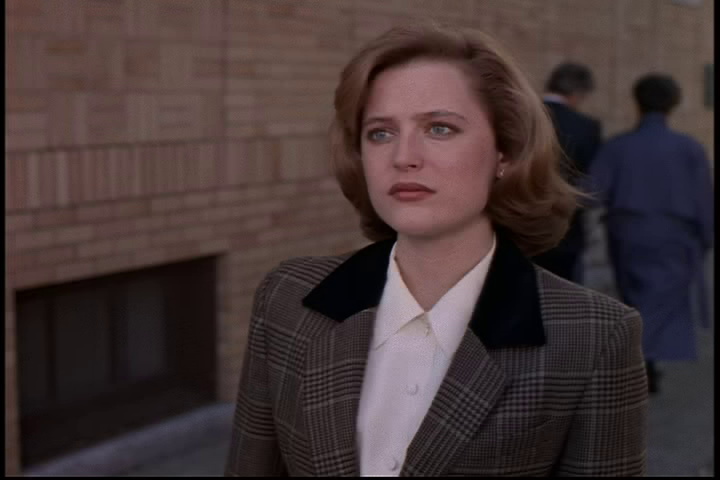 I’m not sure anyone can make shoulder pads look better than this right now. 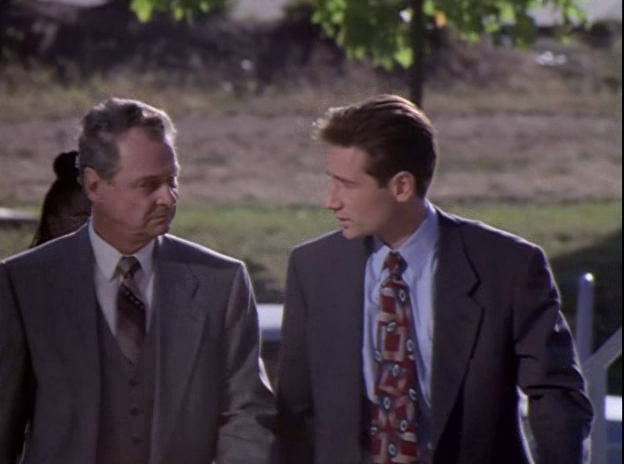 Blevins wants to know if Mulder is personalizing this case because of what happened to his sister. 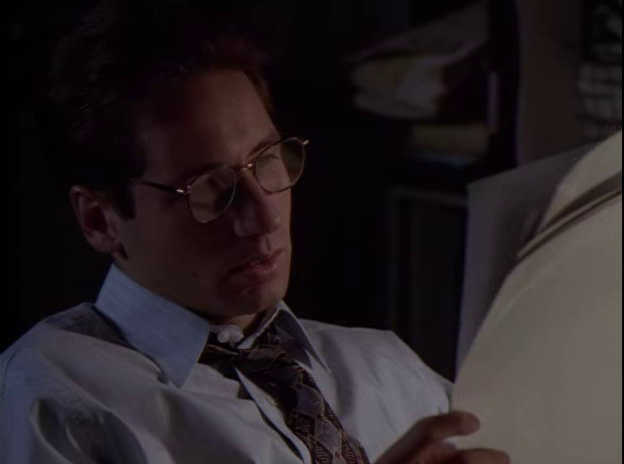 This is the first time I noticed this next part: he proceeds to take Samantha Mulder’s X-File out of his personal filing cabinet. 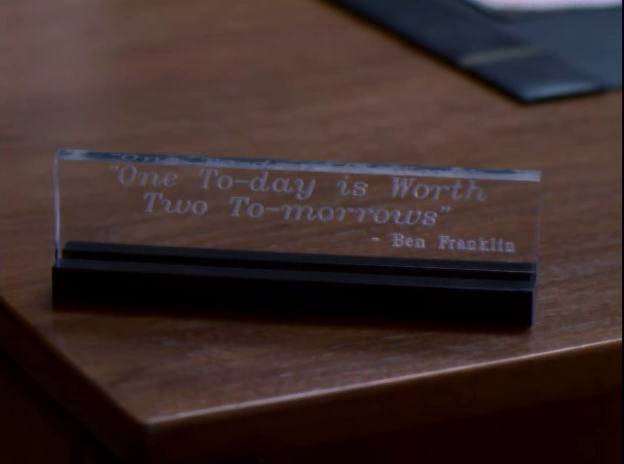 WHY does he have that in his office?? 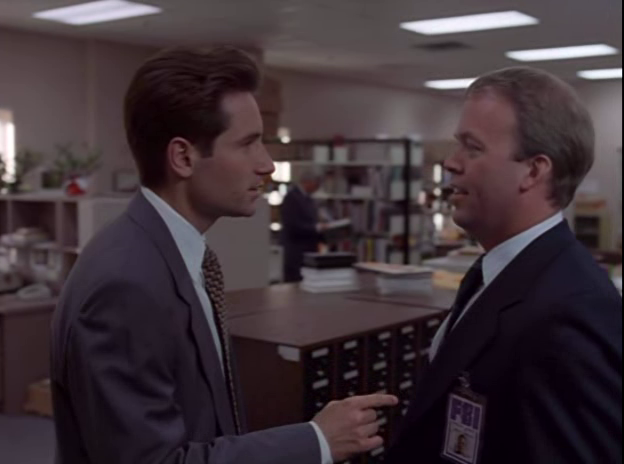 It’s clear in the conversation that follows that Mulder has no idea his 302 is in danger of being disallowed, so I do not believe Blevins would have waltzed down to the basement and asked Mulder for it. 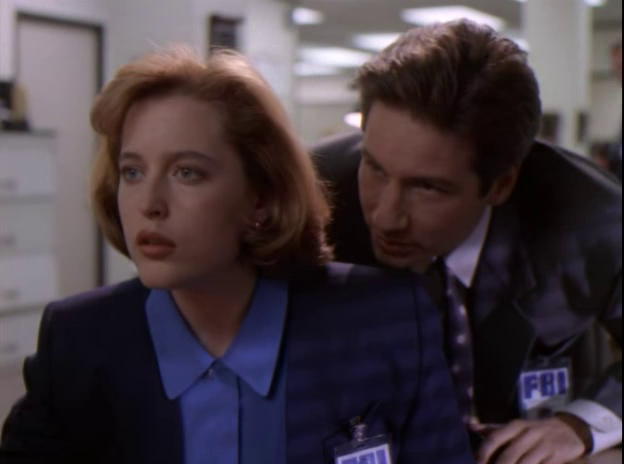 If Scully finds this strange she doesn’t let on. 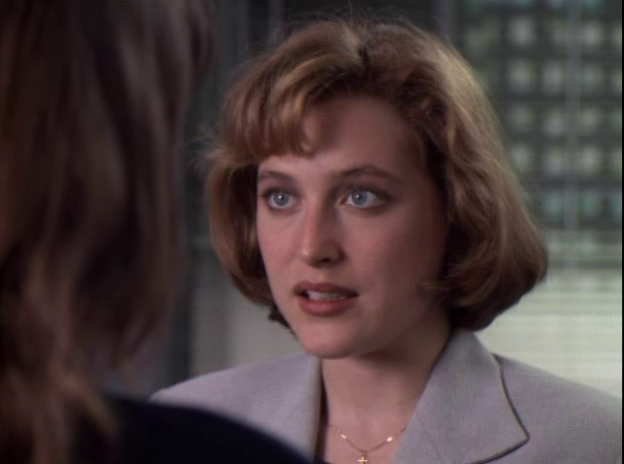 I appreciate that Scully is hesitant to disclose anything that Mulder has told her personally about his sister. 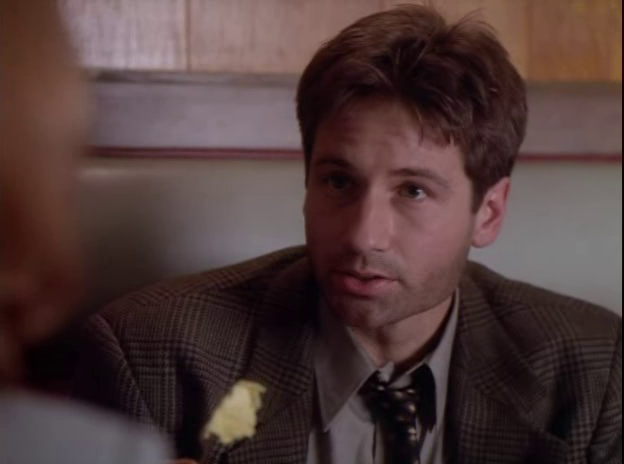 Even though the evidence is clear to her that his interest in this case is personal, she persuades Blevins to let her talk to Mulder and make a better recommendation for the need to investigate. 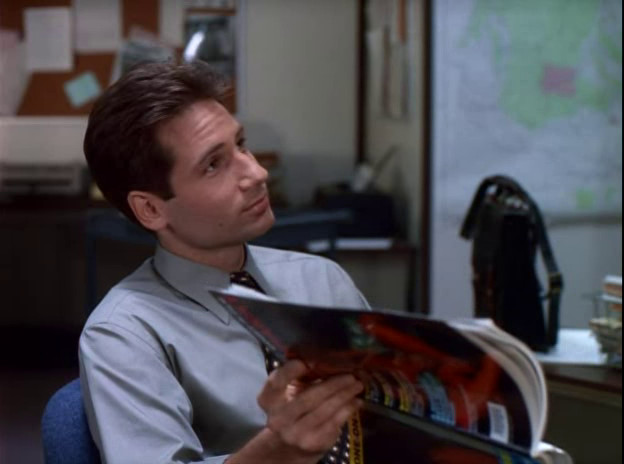 Scully does her best to persuade Mulder that they will need more than his newspaper clipping to warrant an investigation. 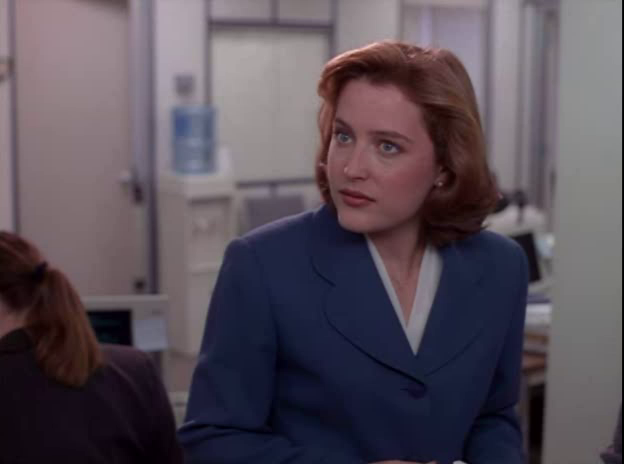 She really is my hero — I mean, seriously? 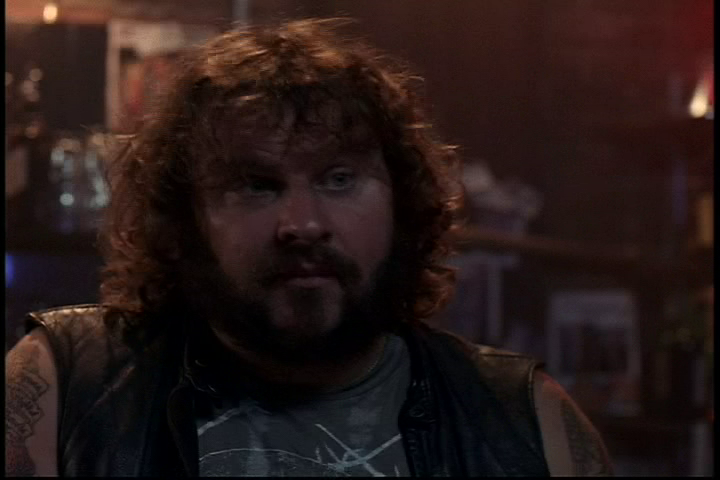 Look at this man. 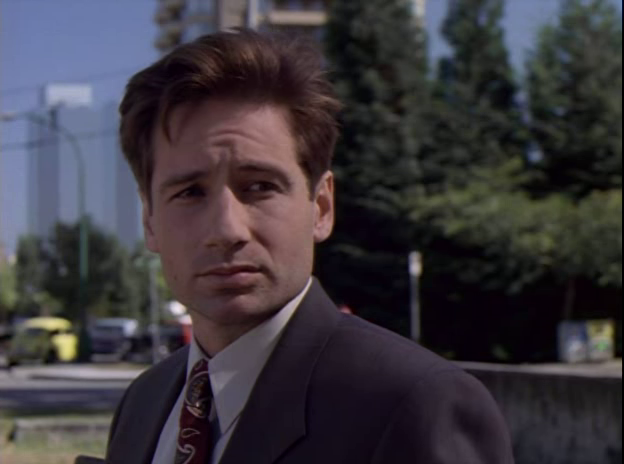 Mulder lets on that the location of the girl’s disappearance is what really caught his attention. It’s near Lake Okabogee. 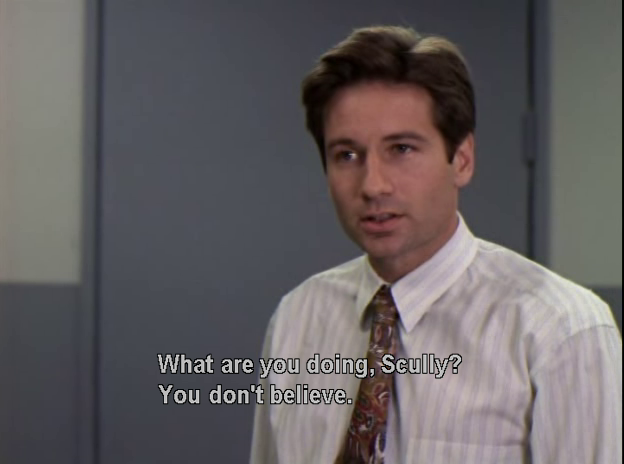 What was that, you ask? 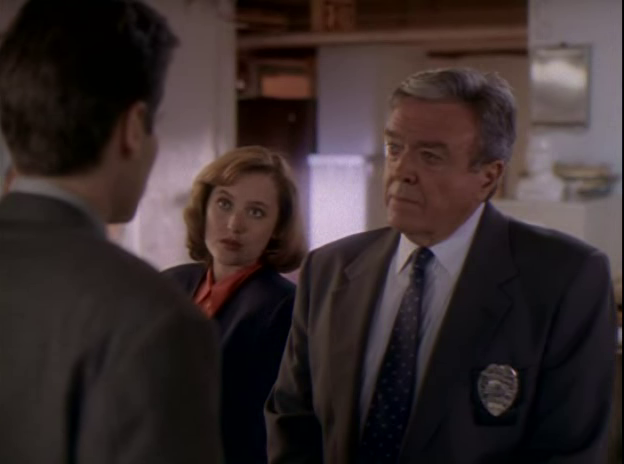 Scully was confused too. 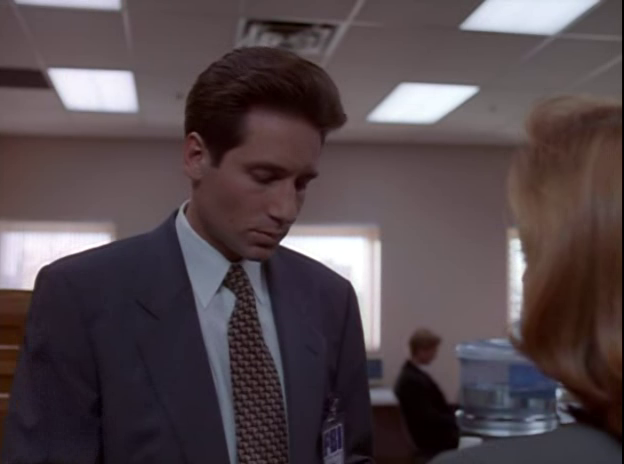 Apparently the 3 or 4 feet between Scully and Mulder was a vacuum because he needed to get closer to repeat “Okabogee.” This close. Completely legit. Squeeee! 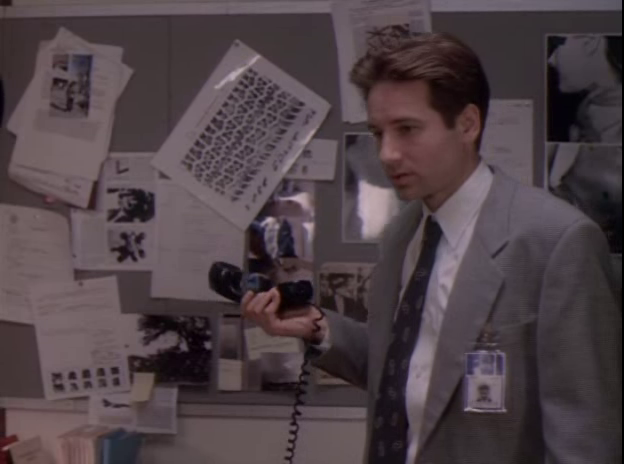 I love Mulder’s slideshow presentations. 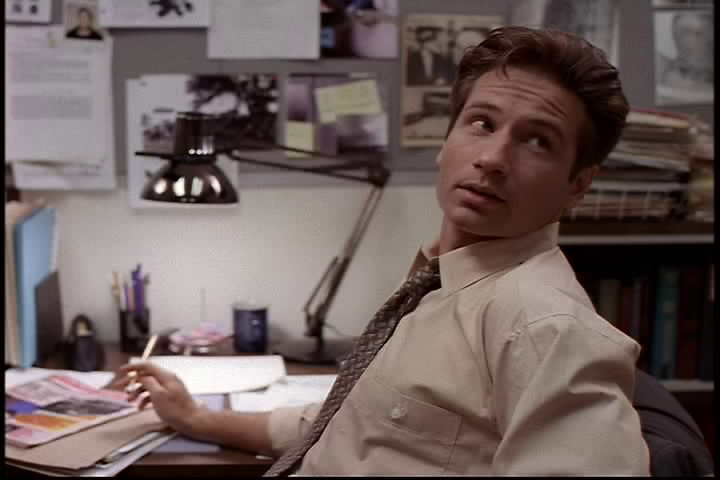 I’d take his class any day. 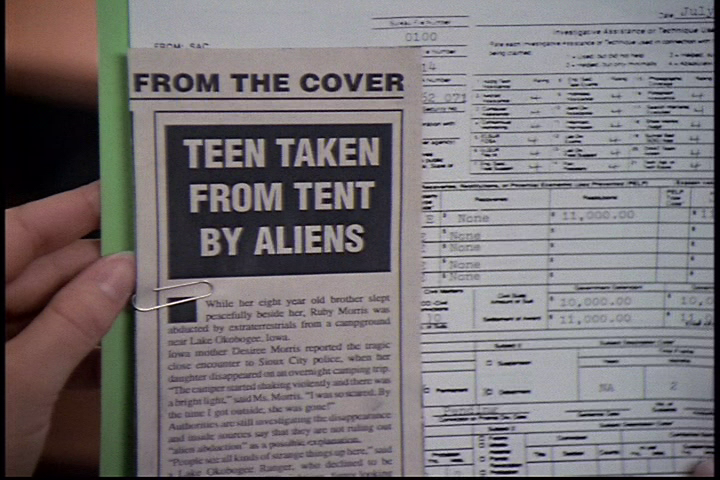 The subject of Mulder’s presentation is Darlene Morris, mother of the missing girl in the article and also the photographer behind a UFO picture from lake Okabogee. 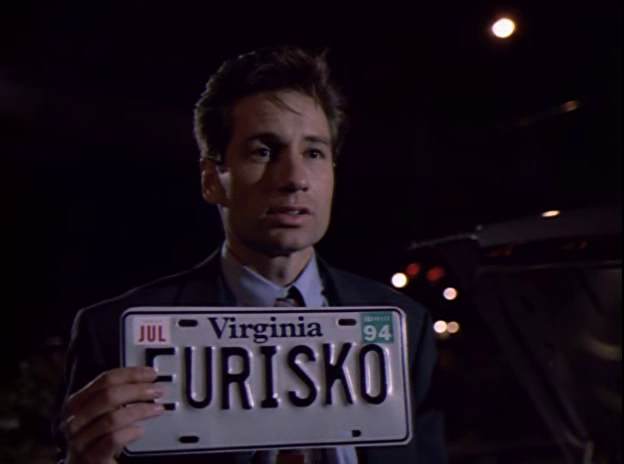 Apparently this is enough evidence to legitimize that 302. 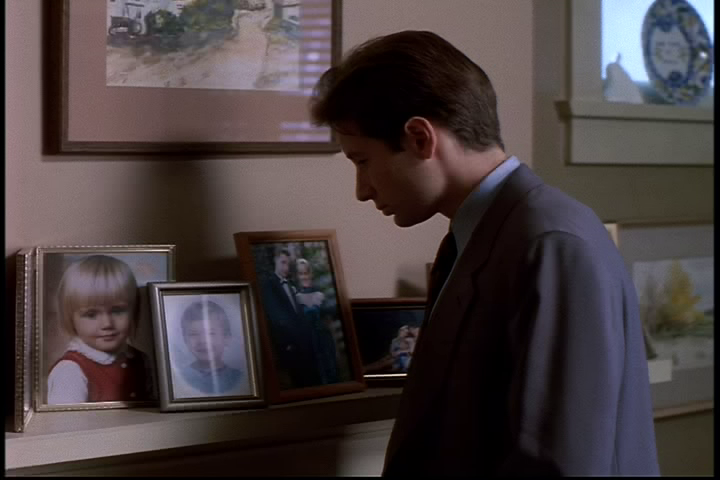 Once they arrive at Darlene Morris’ house, Scully observes Mulder looking at photos. 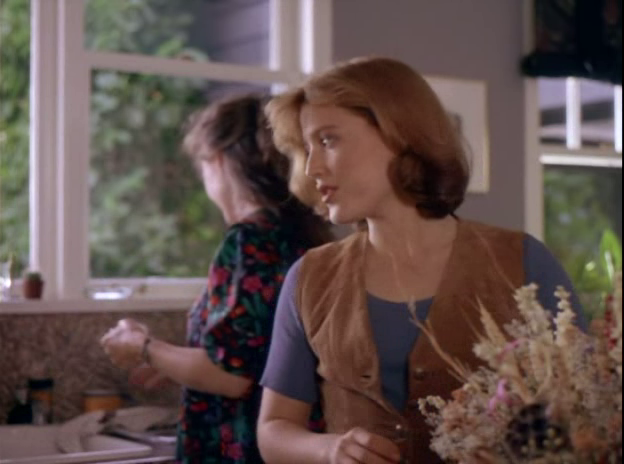 It’s a little heavy on the Ruby-as-Samantha theme for me, but it’s a still sweet moment. Mark Snow’s score helps a lot. 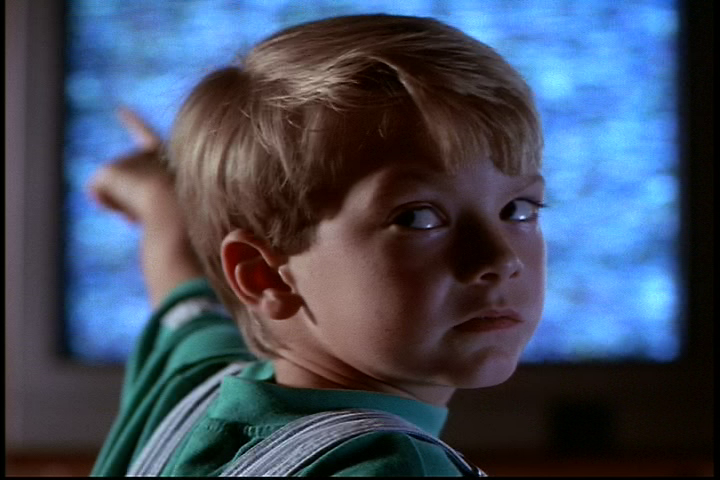 Mulder leaves the room to chat with Kevin, and we get a great little homage to Poltergeist. 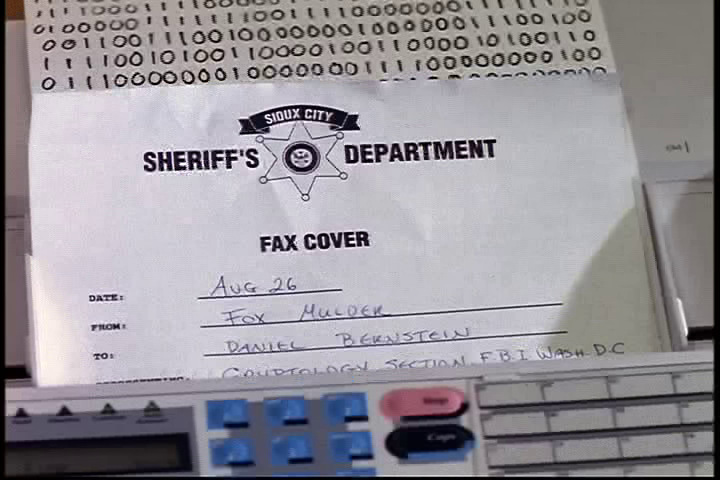 The infamous “Danny” on the other side of the phone throughout the seasons must be this guy — Daniel Bernstein, of the FBI’s Cryptology section. This Phile is proud of herself. 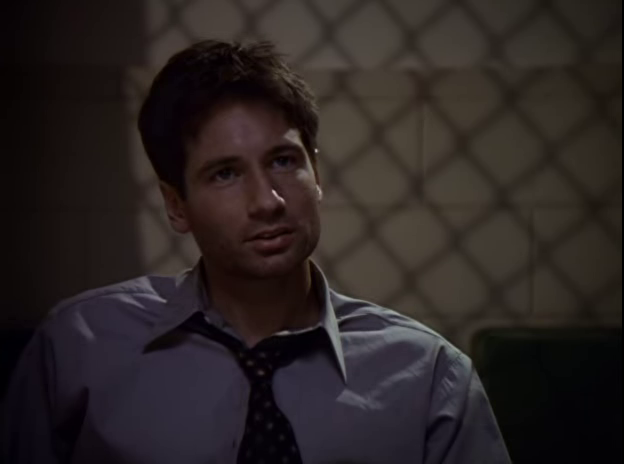 While in the police station, Mulder decides now is the best time to antagonize the sheriff for not investigating Ruby’s disappearance with more gusto. 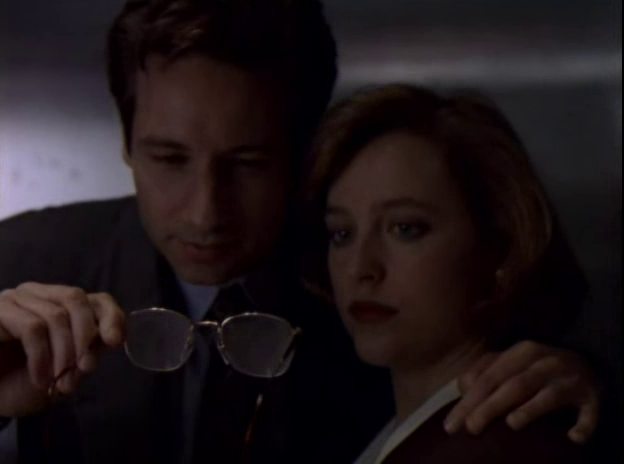 Watch Scully closely. 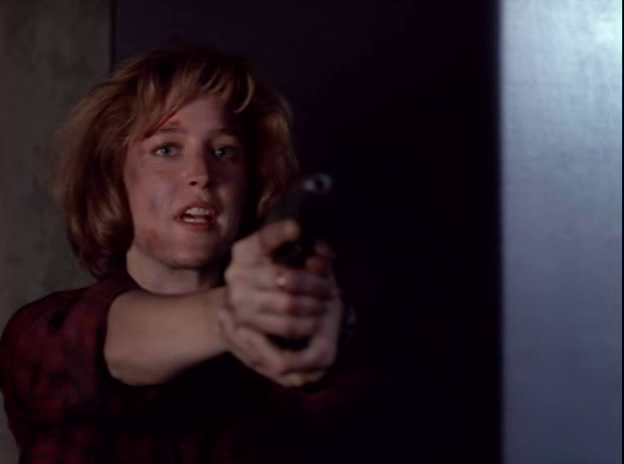 She totally kicks Mulder when he pushes it a little too far. I love them. 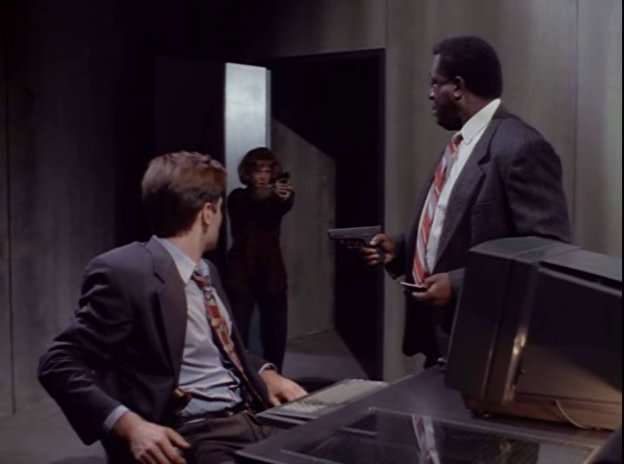 After leaving the sheriff’s station, a note on the agents’ windshield alerts them to a woman who wants to meet in the library. 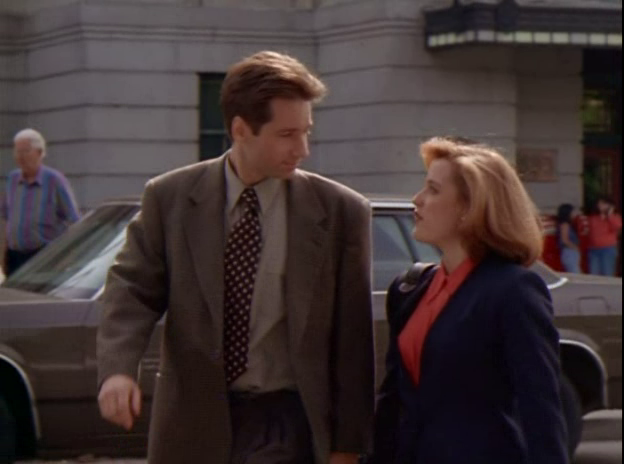 Also, crossing the street is reason enough to touch your partner. 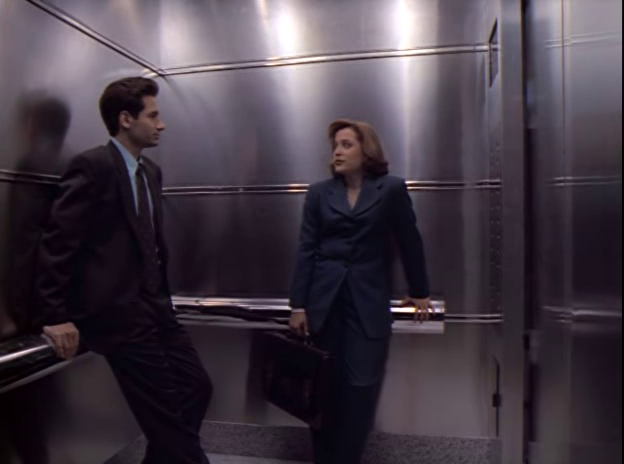 You know, to make sure she gets over safely. 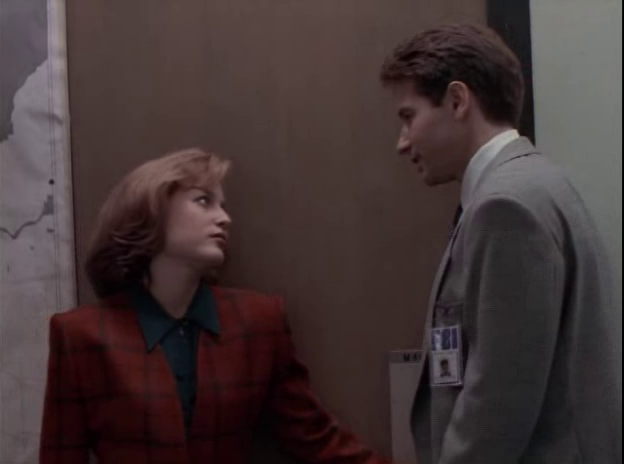 It’s also perfectly normal to stand this close to someone in a library. I also feel this would make a good READ poster for any school library. Hell, I’d buy it now. 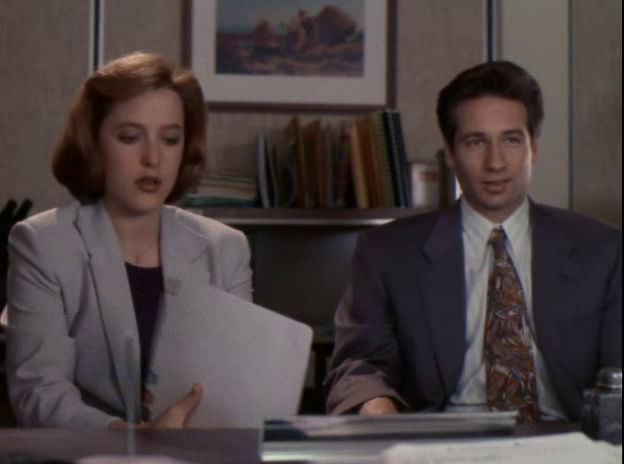 Mulder and Scully learn from this meeting that Ruby was planning to meet up with her bartender boyfriend at lake Okabogee the night she disappeared. 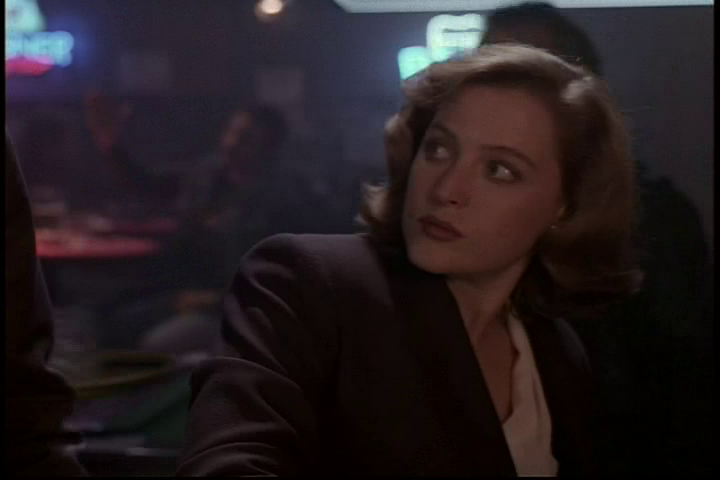 This prompts them to check out the bar that Greg Randall worked in. 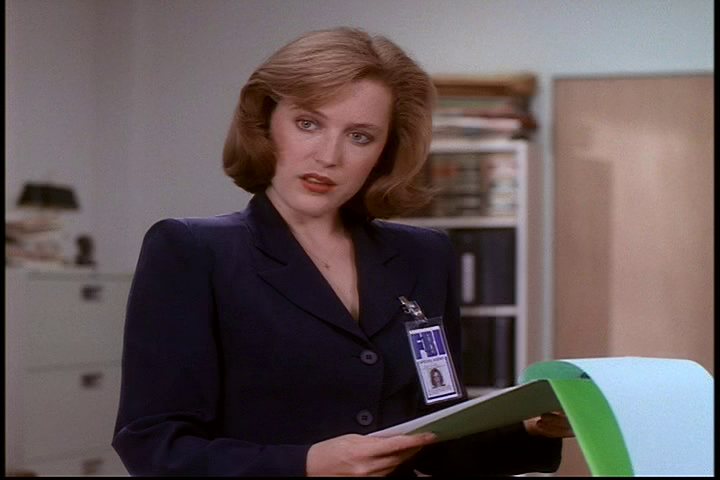 Also, this look from Scully to Mulder is priceless. 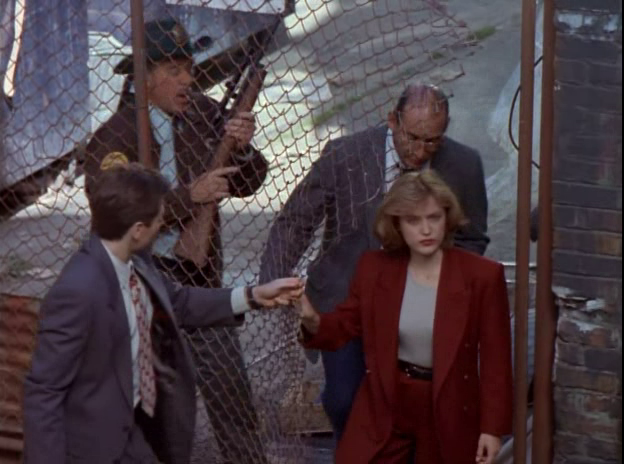 So baby Scully learns the hard way that FBI service weapons should be in arms-reach while sleeping. 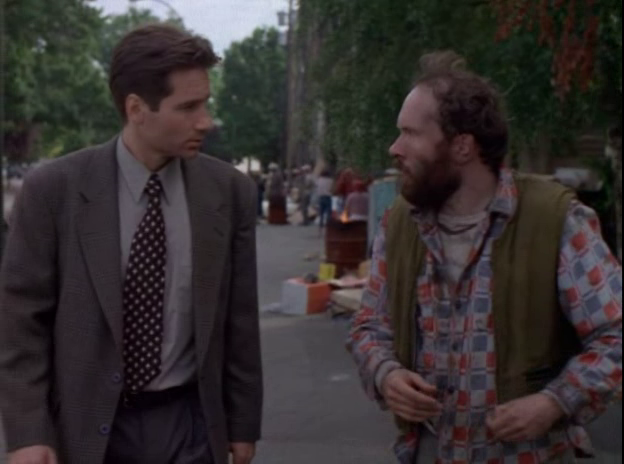 Also, WHY do these guys burst into her room at 5:30 am asking where Mulder is? Were people already assuming they were sleeping together? This still cracks me up to this day. 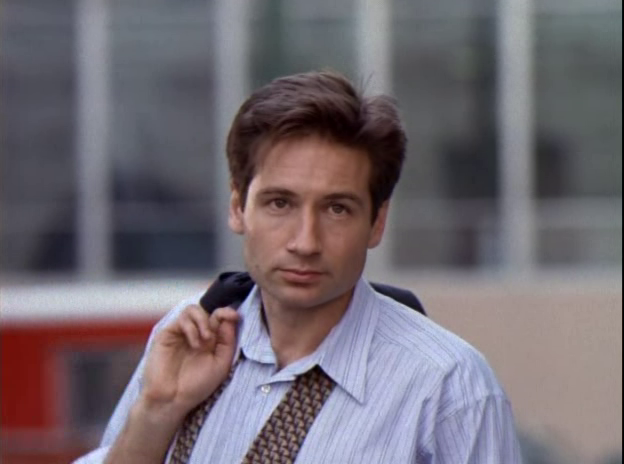 But Seven Blessings be upon whoever was responsible for this shot. 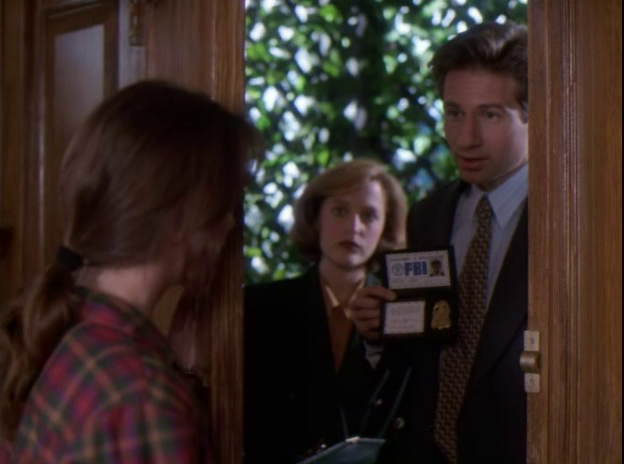 The NSA learns that Mulder and Scully got the document of 1’s and 0’s from Kevin Morris, and they go on to raid his room. If this doesn’t make you mad, you have no soul. 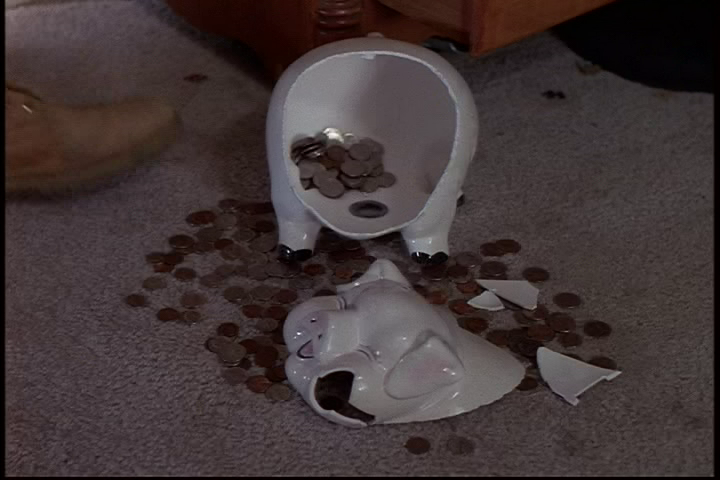 Look at what they did to the boy’s sweet little piggy bank! 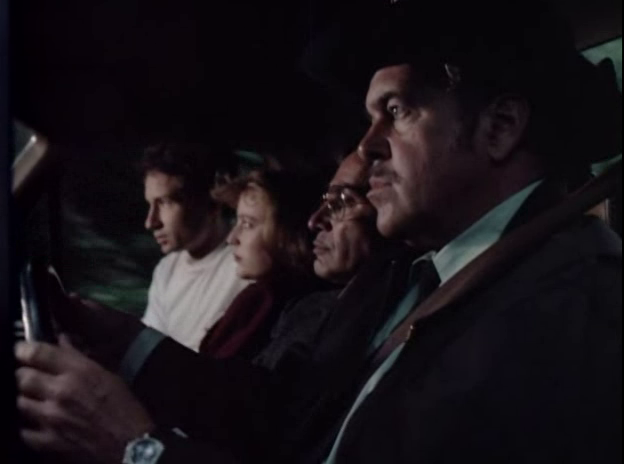 They’ve reserved their places in the Special Hell. 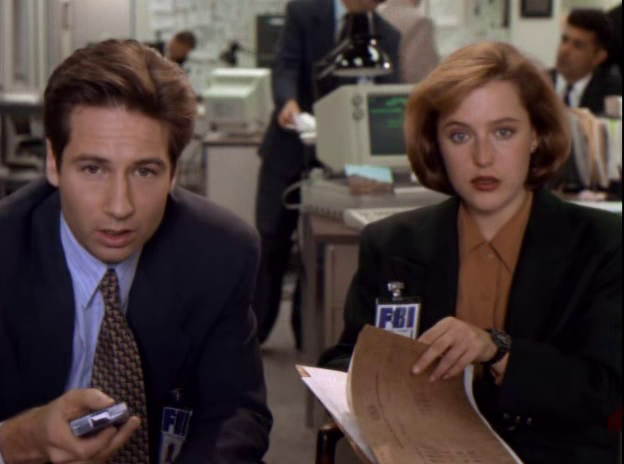 Back in the field office, the documents have been decrypted and it’s a compilation of random pictures and sounds. 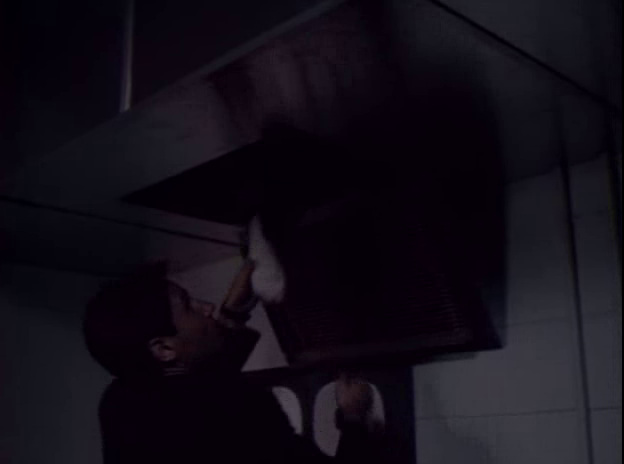 Much like a TV switching channels, according to Mulder. 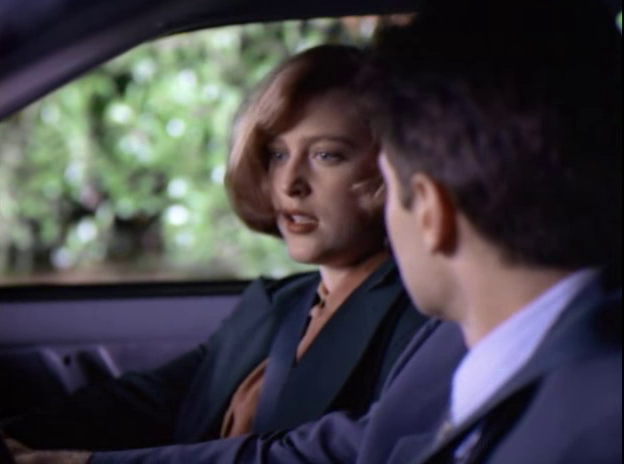 *Random aside: Can we take a moment to appreciate the fact that Dana Scully knows her classical music? The woman can ping Bach after a small sample better than a music major taking a final. 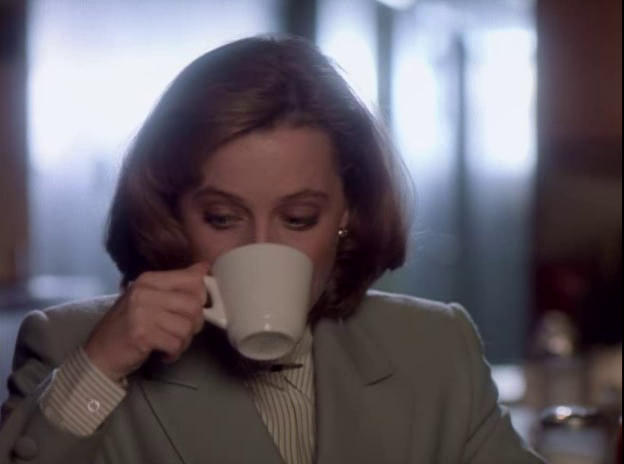 You’ll always keep us guessing, Dr. Scully. 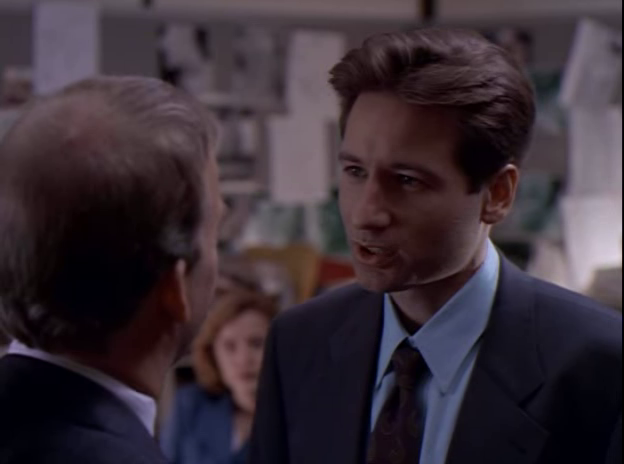 Mulder is convinced that Kevin is the key to solving Ruby’s disappearance. 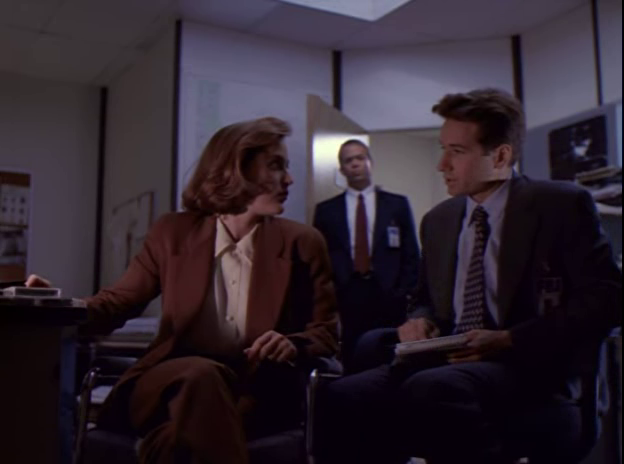 Scully attempts to tell him that she’s picked up on why he’s so attached to this case. 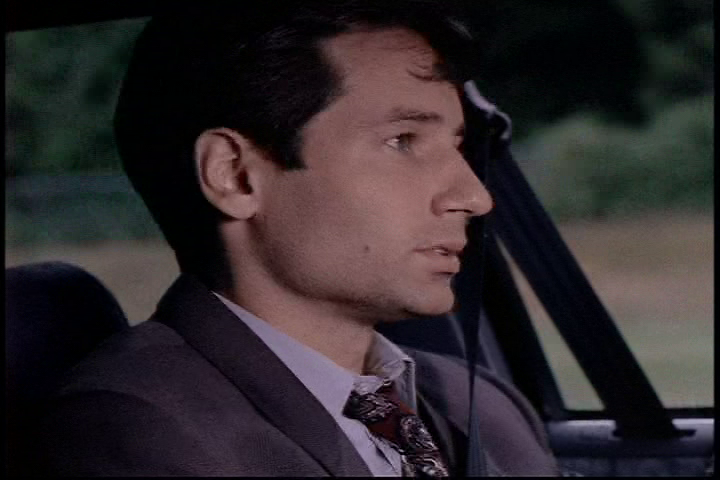 Neither one of them is outright saying it, but the elephant in this car is Samantha Mulder’s abduction. 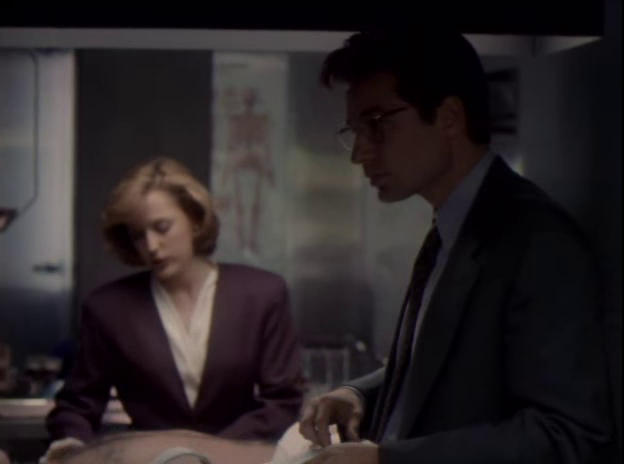 Does anyone else feel like one or both of them is about to burst into tears here? 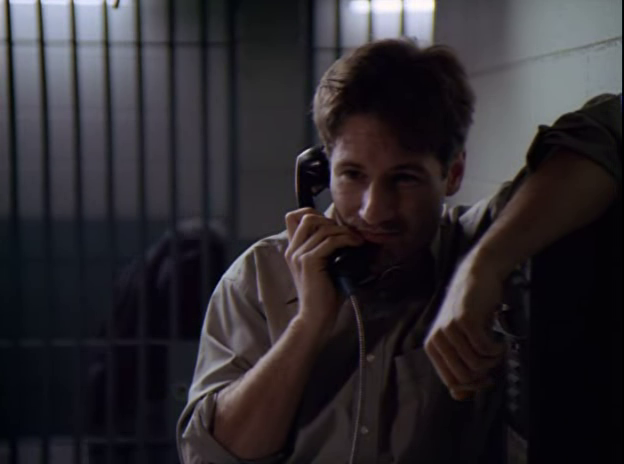 It’s taking every ounce of Mulder’s willpower to not berate Scully for continually insinuating that he is personalizing this case. 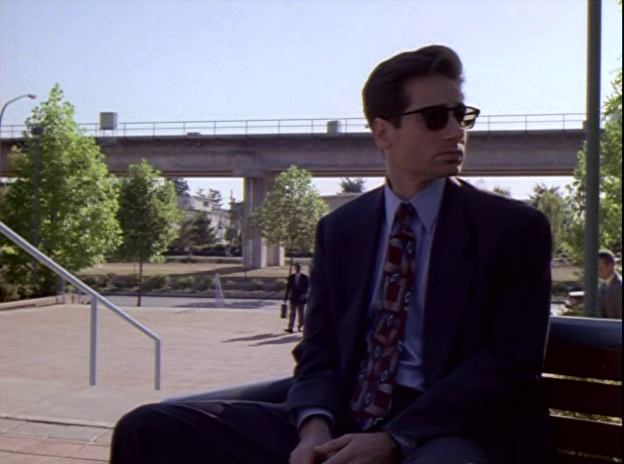 Before I get serious for a moment, let’s take some time to appreciate that no one other than Fox Mulder stands like this. 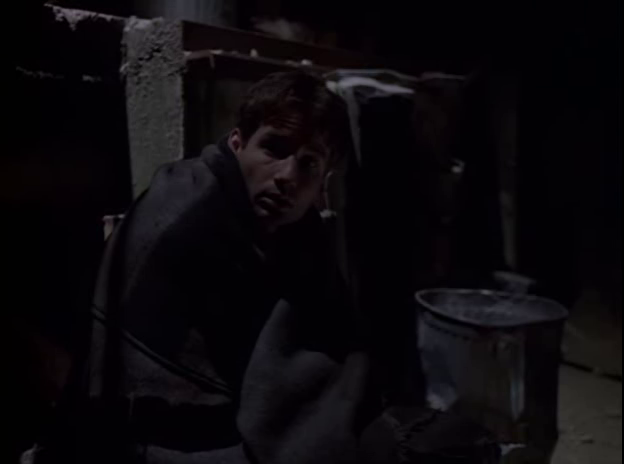 This next scene is intense and probably my favorite from the episode. 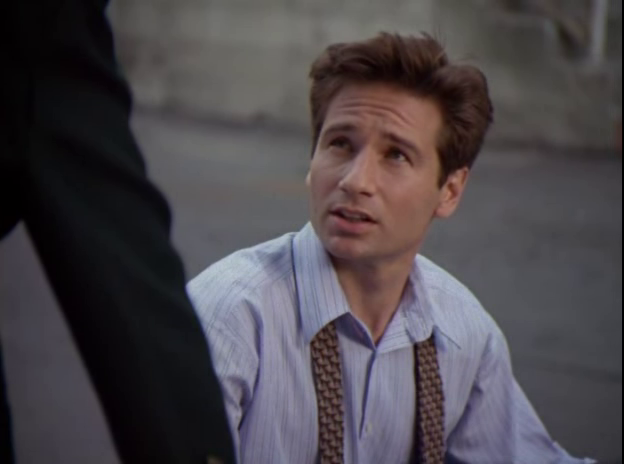 Mulder officially crosses the line into personal territory, and his pleading “What if it’s her? 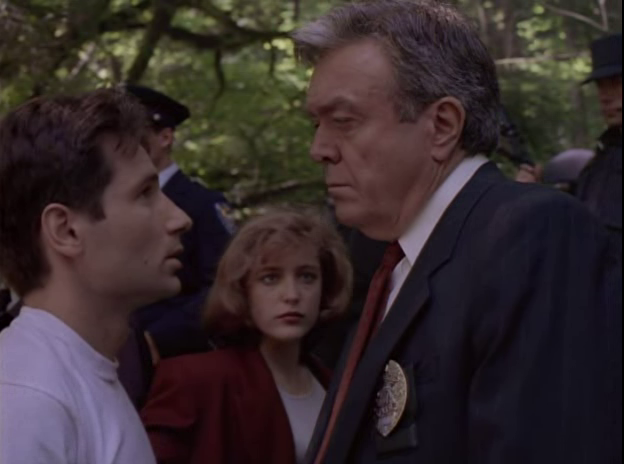 I need to know” is so honest and raw that it melts whatever resolve Scully had to stop him. 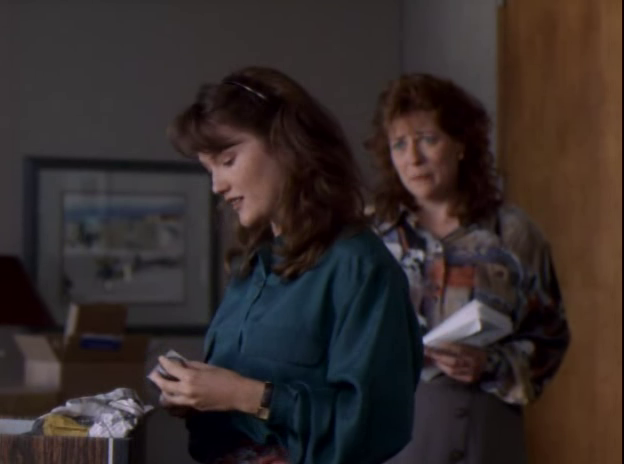 It turns out the body they find is Greg Randall. 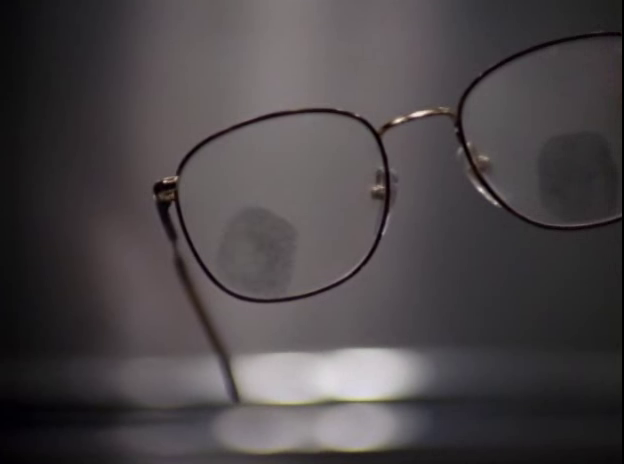 A note in his pocket matches Tessa’s handwriting from earlier and they get out of her interrogation that she had motive to kill Greg and possibly Ruby. 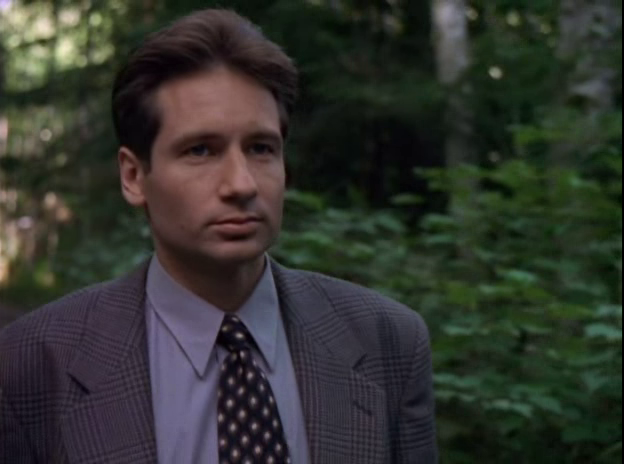 Mulder refuses to believe that Ruby was killed and he will not give up on her or Kevin. 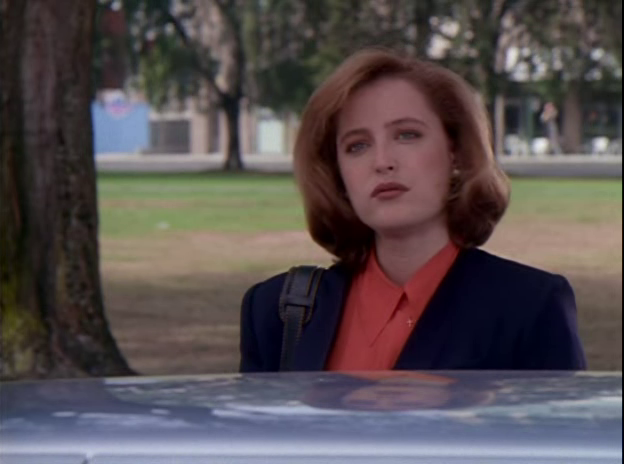 Now, look, I LOVE Dana Scully. 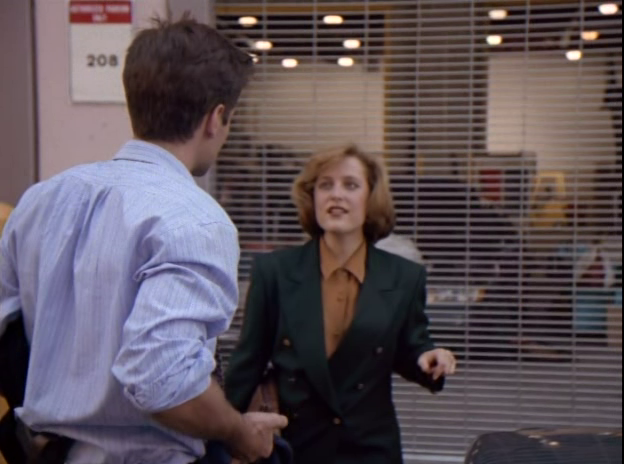 But every time she tells Mulder to stop running after his sister it makes me angry. 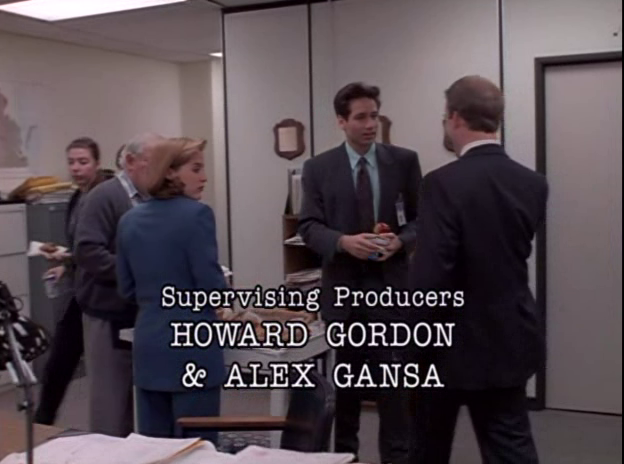 Right here, in this scene, I’m not sure they’ve known each other long enough. She may think it, and he may know she’s thinking it, but she puts it into words and she has no right to. 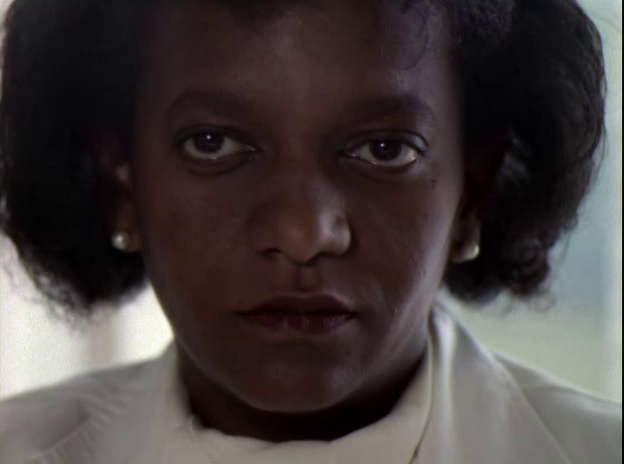 It’s clear she regrets it the moment she says it. 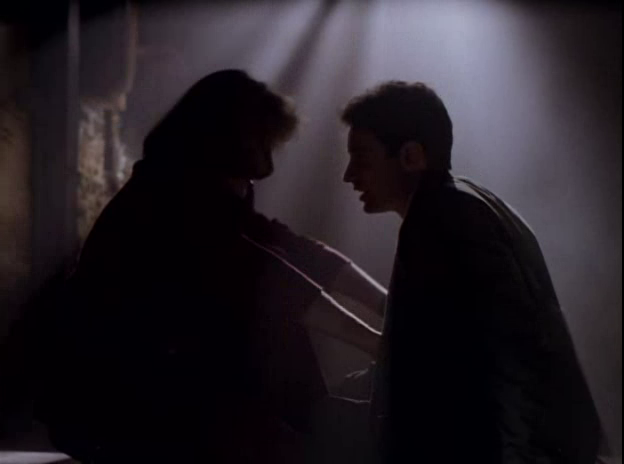 He’s fighting back his anger and his self-control and patience with her here is commendable. 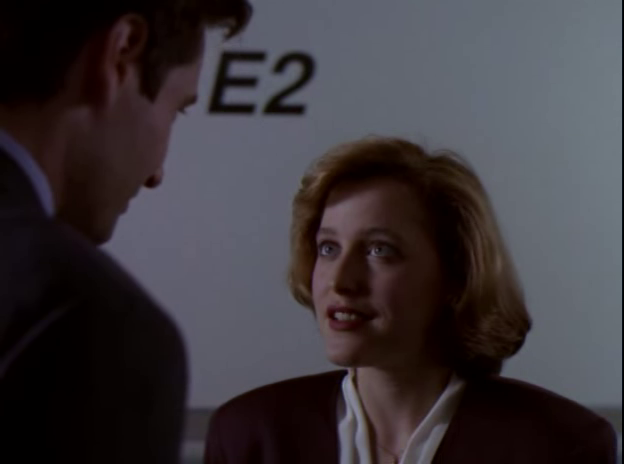 While it still irks me later in the series, (even in IWTB, but by then I think she totally has the right to say it) this instance really stings. 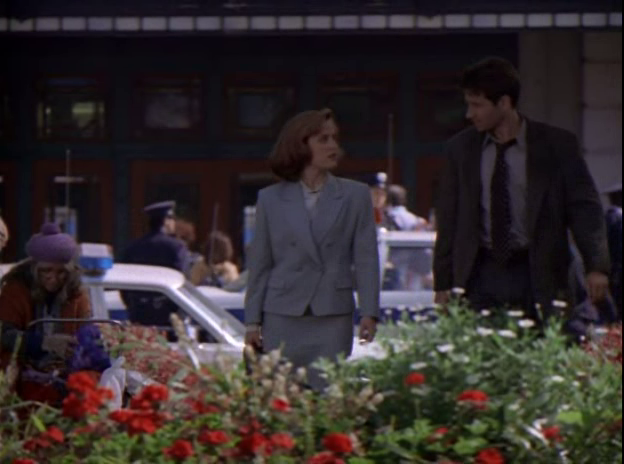 To her credit, Scully still follows Mulder even though she thinks it is futile at this point to continue to search for Ruby. 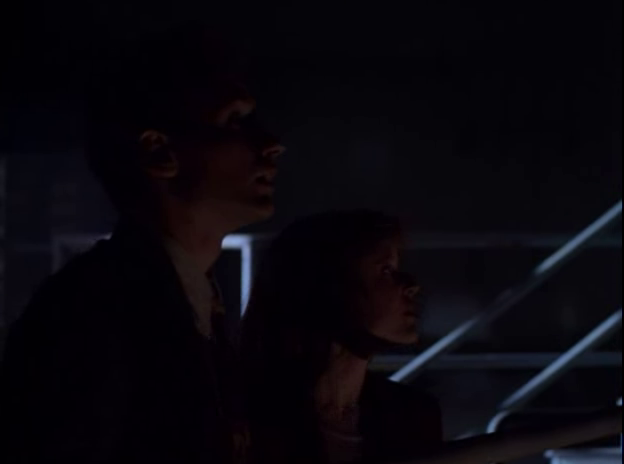 Her loyalty is unquestionable, and that’s why I think Mulder still invites her to come with him after all of this. 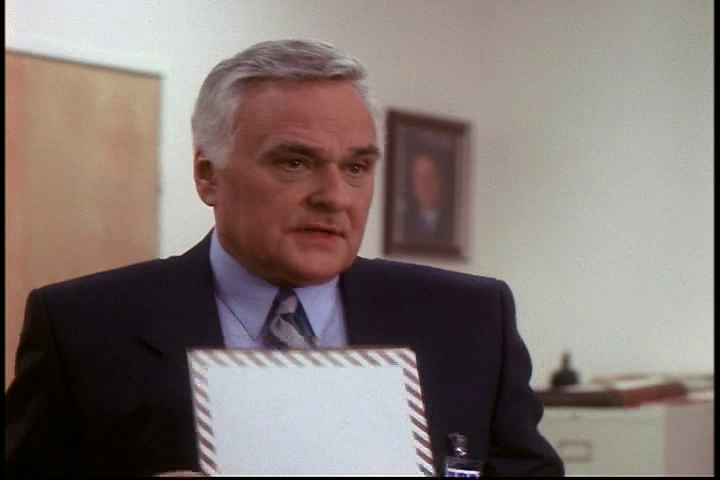 They check Kevin’s house and find Ruby’s picture is what the 1’s and 0’s make up. 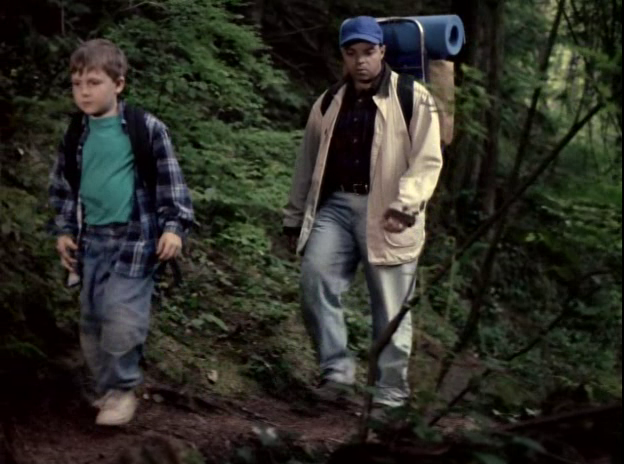 They have to return to lake Okabogee. 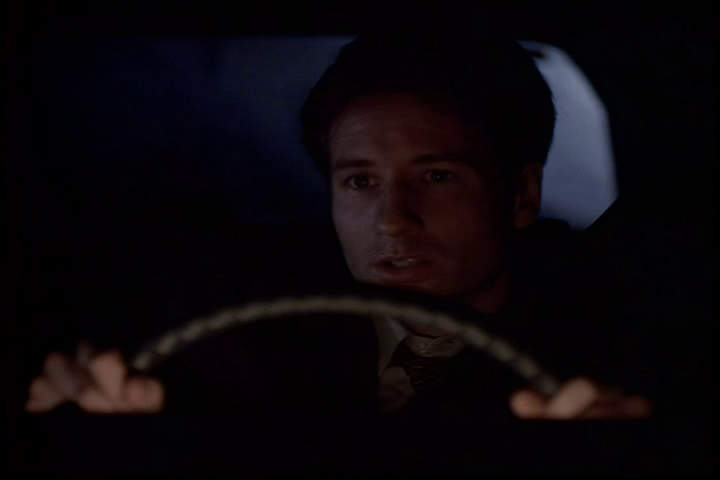 Once they are in the car, Mulder opens up to Scully by telling her a DEEPLY personal story. 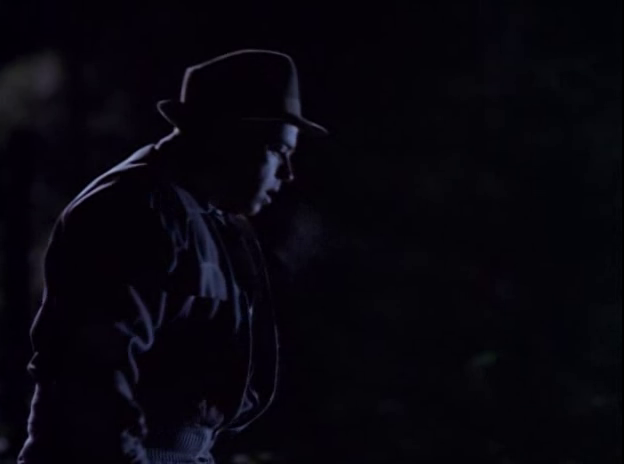 He used to walk into his room with his eyes closed hoping that when he opened them he’d see his sister. 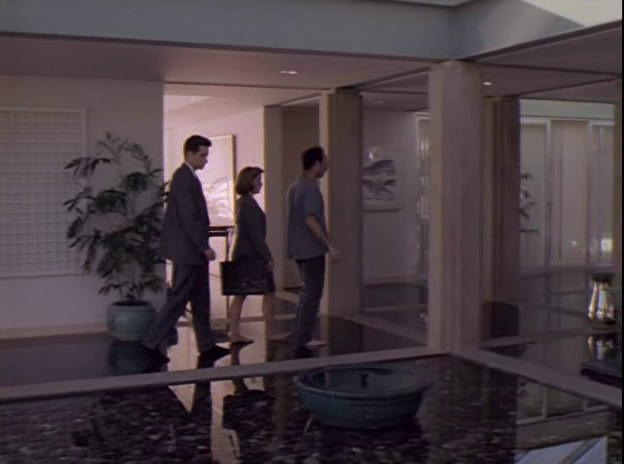 In a way, he says, he’s still walking into that room every day of his life. 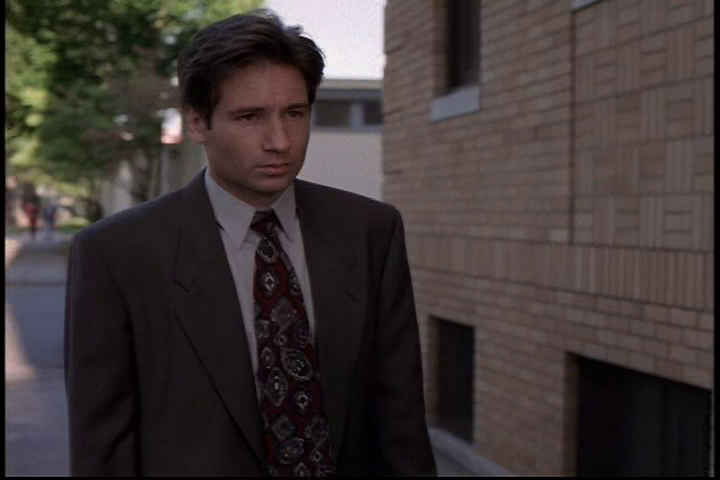 He’s entrusting Scully with his emotions. 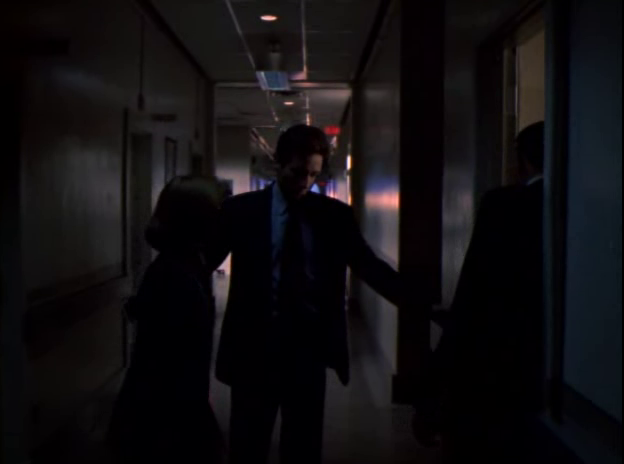 It’s his way of telling her that they’re okay while also acknowledging that her instincts have been correct. 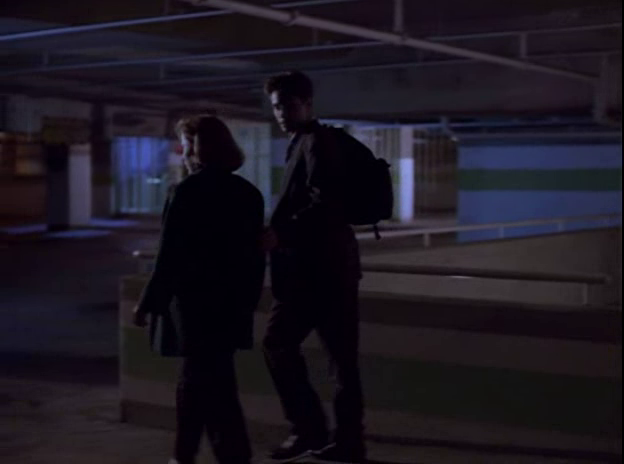 This time it’s Mulder who needs a guiding hand at his back. 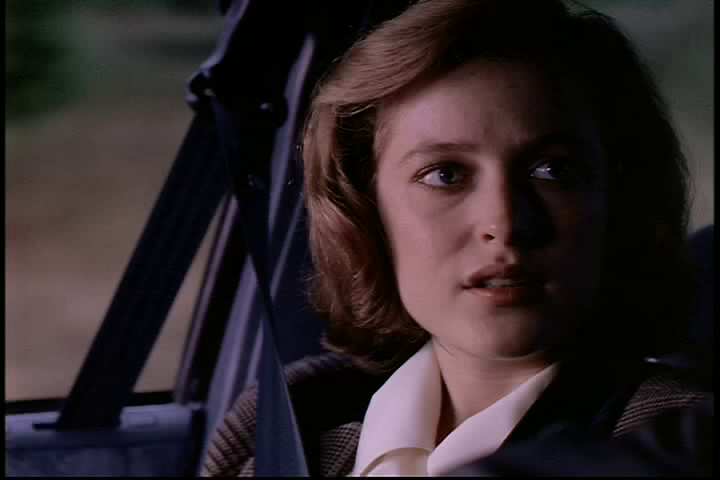 Scully goes home to listen to Mulder’s regression tapes. 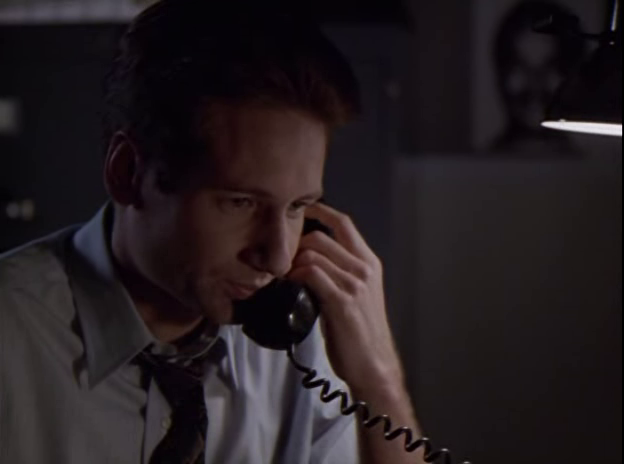 His “I want to believe”closes out the episode and will always tug at my heartstrings! 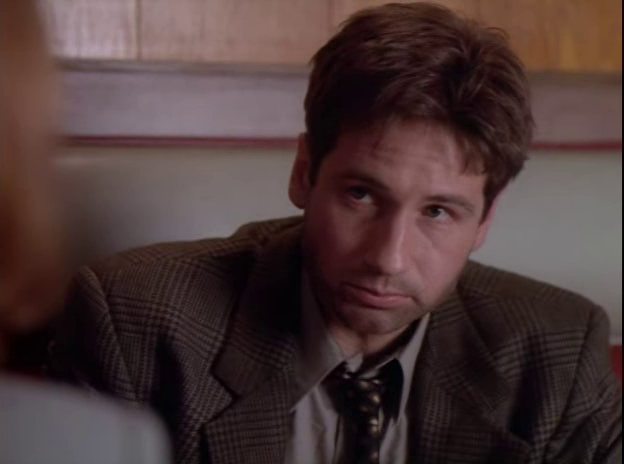 While Conduit has some serious moments, I’ll hope you will forgive me for staying lite and focusing on Mulder and Scully’s development. 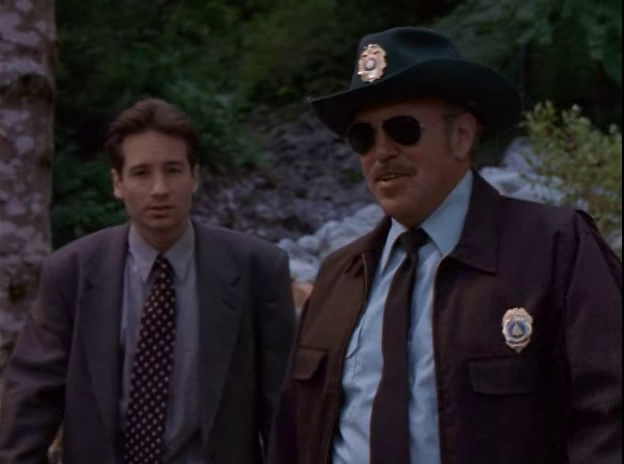 No other characters grow as much as our pair does in this episode. 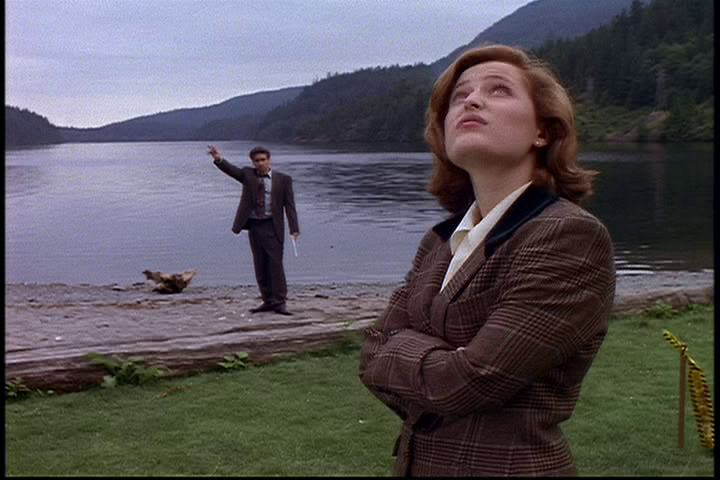 While still not one of my favorites, it serves as a visual testament to the creation of the intense bond and trust between them. They only grow closer from here.